This information is published as soon as the values are detected, and does not imply that the data have passed quality assurance validation procedures. To get more information about a location, hover your mouse over the location. 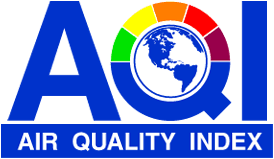 For an explanation of the AQI values and colors, click here.